Previously we have introduced on how to interface LM35 using Arduino Mega 2560. 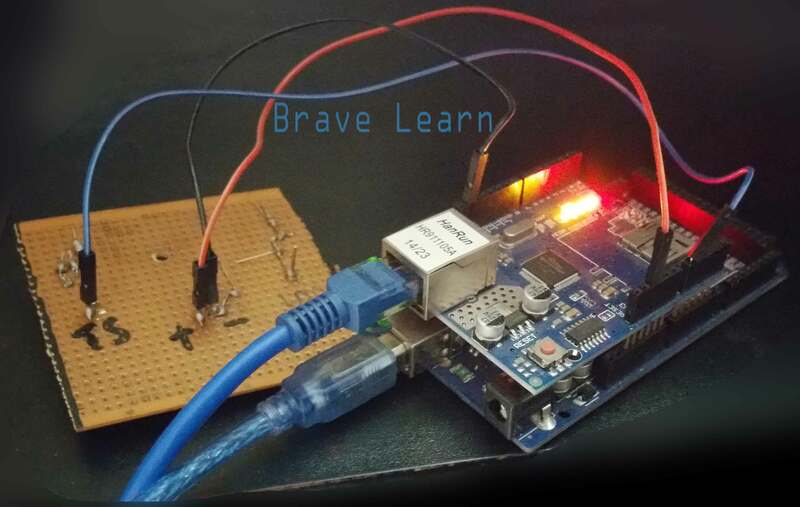 In this article, we will show you how to interface Ethernet Shield with Arduino 2560 and display temperature data using LM35 on your Web Browser. Network cable that plugs into Ethernet shield connected to your home router. Now you can easily monitor your room temperature wirelessly connected to your home router. You can even open ports in your router configuration to monitor room temperature remotely anywhere from the world. Try this simple project and don’t forget to share your reviews in the comments below also share it with your friends. Well, this is a simple project we will show how can we use Windows Phone to build an app that reads this temperature.